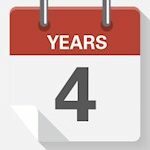 Posted on 6th November 2017	under Blog. While the internet, email and social media are all powerful tools for businesses communication, they lack the same efficiency as the telephone. Customers find it much easier to deal directly with a person. So, it’s important that your business prioritises the right features when it comes to choosing a phone system. 94% of all marketing budgets are spent on getting a customer to call, while only 6% is spent on handling the call once it’s received. This means businesses are missing sale opportunities by not having successful call handling features in place. No matter your company size, auto-attendant is one of the most important features to have with your phone system. This feature ensures that every call is routed and answered. It is important to make sure you convey the right message at this point, as it’s the first impression a prospective customer will make of your business. In an ideal world, a real person would be able to answer the phone and do the job of auto-attendant every time. This is not always possible, as there may be too many callers and customers will be left on hold. Auto-attendant will direct the caller in the right direction, so they speak to the right person and precious time is not wasted. The ‘I’ve-been-forgotten’ factor is eliminated for the customer. By having a Cloud-based PBX system you could utilise this feature and maintain a high level of customer satisfaction. Having the hunt group feature on your telephone system means that less time will be wasted directing a call. A hunt group is how phone calls are distributed from a single telephone number to a group of several telephone lines – it’s an algorithm that selects which line receives the call. You can have up to 30 hunt groups on your system, meaning it is ideal for larger companies. Hunt groups are a feature that is supported by some PBX systems, including Datakom’s Kloud PBX system. To make sure your business remains efficient you may consider allowing your employees to use mobile phones for work. They can use their own mobiles, or devices issued by the company, to ensure that they are always available to take a call. There are applications which actually connect these mobiles to the company’s cloud-based phone system. Meaning extensions, call recording, and other complex features are available regardless of the device and location of the user. In fact, mobile workers also saved 40 minutes each day and generated annual productivity gains of 3.5 days per year. 88% of companies believe that they provide excellent customer service. However, only 8% of these actually do. So, by your employees being readily available with their mobile phones, then this could be a solution. 75% of business phone calls are not completed on their first attempt – meaning having an efficient voicemail feature is crucial. A voicemail is much easier and quicker to leave than typing an email. Proving again how a telephone system is the preferred communication tool when customers want to get in touch with your business. Within this feature it’s also useful to have voicemail to email (attached as an audio file), so no voicemail will be left unheard. Voicemail is a key feature of most businesses, allowing any missed calls (and potential business) to be answered to as quickly as possible. 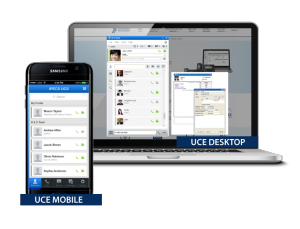 Adopting VoIP means you can use services such as the UC app for desktop and mobile. This tool allows you to see if the person you want to call is online and available. If you are busy, such as in an important meeting, it’s possible to set yourself as ‘busy’ with this feature. People will ring when you are online again, or simply leave a message for you to review later. It’s especially helpful when you need to speak to people from the business and other stakeholders within the company, but want to filter out some of the calls. Your employees and customer could both be spread right across the world. So, what happens when you need an important meeting with them? Real-time collaboration for conference calls is a powerful feature which can bring everyone together. With features, such as messaging, file sharing and video, it makes running your business more efficient. It may seem like something quite small in the great scale of things, but having music whilst your customers are on hold could be the difference between them staying on the line or hanging up. Music will make the time that they are on hold feel less. We all know how boring it can be listening to ‘dead air’. Certain types of music may actually calm a person down whilst they are waiting, so it’s worth thinking about the psychology behind it. According to research, callers are on hold without music hang up within 40 seconds, while callers with music stay on the line up to 4 minutes. By implementing these features into your business’s telephone system you will be sure to see success through increased employee productivity and higher customer satisfaction. Get in touch with us to find out more about our KloudPBX system, and more innovative technology which could help your business grow.